Asma Kazmi creates transdisciplinary artworks that unearth invisible, forgotten, and ignored histories linked to the legacies of colonization and postcolonial contexts. 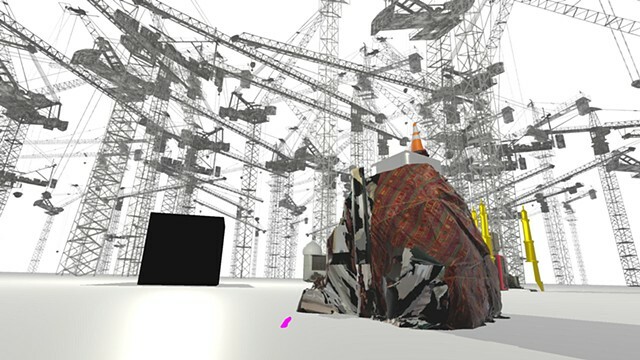 Her works combine the virtual as well as material objects to create complex visual, aural, and haptic relations. Kazmi’s research based process allows her to imagine embodied linkages with her subjects in various cultural contexts. She works between the US, India, Pakistan, Europe, and the Middle East. Asma Kazmi’s selected solo and two person exhibitions include: Distillery Gallery, Boston; Commons Gallery, University of Hawaii in Honolulu; Faraar Gallery, Karachi, Pakistan; IBA, University of Karachi, Pakistan; LACE (Los Angeles Contemporary Exhibitions); 18th Street Arts Center, Santa Monica; Contemporary Art Museum, St. Louis; Gallery 210, University of Missouri St Louis; MassArt Film Society, Boston; Hunt Gallery, Webster University, St Louis; and Gallery 400, University of Illinois in Chicago. She been included in numerous group shows nationally and internationally at venues such as the Wattis Institute of Contemporary Art, San Francisco; San Jose Institute of Contemporary Art, San Jose, CA; Utah Museum of Contemporary Art, Salt Lake City; Queens Museum of Art, NY; H&R Block Space, Kansas City; The Guild Gallery, New York; and Galerie Sans Titre, Brussels, Belgium. She is the recipient of a Fulbright Research Award, (CIES) to India. She also received two Faculty Research Grants from CalArts, the Great Rivers Biennial Grant from the Contemporary Art Museum St. Louis, the Rocket Grant from the Spencer Museum of Art at the University of Kansas, and the At the Edge: Innovative Art in Chicago Award, by Gallery 400 at the University of Illinois in Chicago. At UC Berkeley, Kazmi has received the BCNM Seed Grant and Al-Falah Grant to support current research in Saudi Arabia. She is currently an assistant professor in the Department of Art Practice at UC Berkeley. Previously, Asma Kazmi was permanent faculty and co-program director of the Art Program at the California Institute of the Arts in Los Angeles.